In this time of uncertainty, CTA continues to be part of the Canadian negotiating team while also working to improve the functionality of the border so that trucks will move across the border more efficiently when trade issues are resolved. “As the sector that moves the bulk of US-Canadian trade, the trucking industry shares the Canadian trade community’s concern over NAFTA discussions and tariffs. When our customers suffer so do we,” said CTA president Stephen Laskowski. While these trade talks have been difficult to navigate, Laskowski says the Alliance has full confidence Ottawa will work to resolve many of these issues and the North American economy will continue to flourish as it has under previous iterations of NAFTA. In the meantime, CTA – through its Customs Committee and Director of Policy and Industry Awareness Programs, Lak Shoan – continues to work with both the Canada Border Services Agency (CBSA) and U.S. Customs and Border Protection (CBP) on processes that will make the border crossing experience as seamless as possible, including investing in technology, data management, and working with industry to improve compliance, and the movement of legitimate trade across our borders. 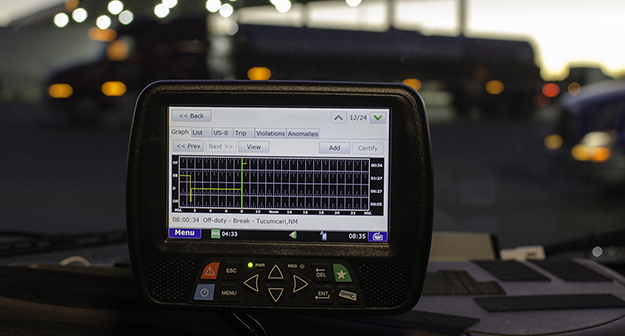 ACI AMPS: CTA continues to work with CBSA to address concerns related to AMPS penalties, having successfully implemented a truck turnaround policy for major ACI related offences until December 31, 2018. CBSA has also committed to additional benefits under the AMPS regime for Trusted Traders and exploring the possibility of introducing volumetrics and reduced penalty levels in the highway mode. Although issues with descriptions penalties remain a concern, CTA is working with CBSA to help address these issues moving forward. Secure Corridor Pilot: CBSA is working with industry to introduce the use of leading edge technologies such as licence plate readers, facial recognition and RFID, to expedite the movement of low-risk, high volume shipments of goods through a pilot project at the Ambassador Bridge, Windsor, ON. The use of technology continues to be a focal point at ports of entry on both sides of the border with the possibility of expanding to multiple ports of entry. CBSA Assessment and Revenue Management (CARM): CARM is a multi-year business transformation initiative. Once implemented, it will facilitate trade compliance and enhance the use of data analytics to streamline business processes. Preclearance: With successful rail and air pilots in place, progress is being made on a Canada-US preclearance pilot at the land border, with discussions to possibly introduce a pilot project between the two countries in the next several months. Through multiple membership, trade and customs-related working groups and committees on both sides of the border, CTA continues to work with CBSA and CBP on many other issues, including E-Commerce, single window, export processing, ACI and ACE improvements, trusted trader benefits, removing paper processes, in-transit movements, foreign empty trailer repositioning, staffing and port operations, and border examinations – among others.